Update: The original app mentioned in this article, The Chan, was removed from the App Store for unknown reasons. 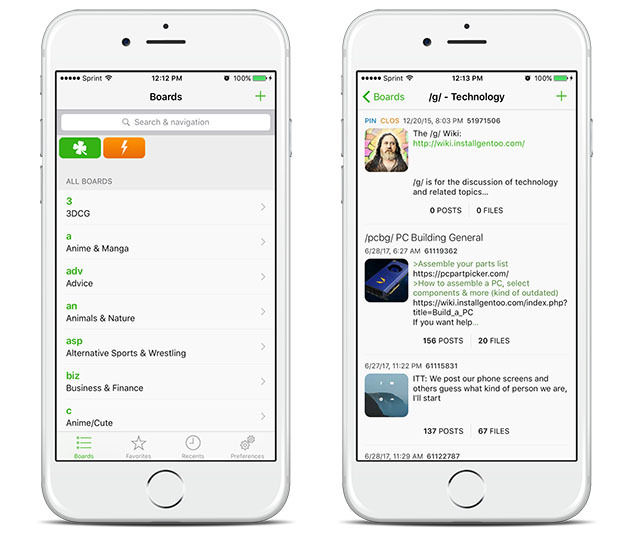 Since then, another app named Tetra – Board Browser has taken The Chan’s spot as the best 4Chan app for iPhone and iPad. Tetra features smooth image gallery featuring WebM video playback with audio and a ton of useful features. The app is also fully compatible with the iPhone X and offers native iPad support. You can download Tetra from the App Store for $0.99. Up to now, any 4Chan-related app had been a taboo for Apple; 4Chan apps were immediately banned from the App Store due to “user-generated objectionable content.” This led to the creation of 4Chan apps onto third-party App Store such as Cydia, which require users to have a jailbroken device in order to install it. One popular 4Chan app from Cydia is Fortune, which offers a ton of features including WebM videos. Now, if you want a 4Chan app you no longer have to jailbreak or hack your device because an app was released on the App Store not too long ago. The app, named The Chan, offer many features and it’s similar as the famous 4Chan app for jailbroken devices named Fortune. The app offers many features including 3D Touch, and the reproduction of .webm videos. The Chan is a missing imageboard browser for iOS. You can download The Chan from the App Store for your iPhone, iPad, and iPod touch for $1.99.